I have been blessed enough to help THOUSANDS of people who were lost in the dark and faced with the state of mass confusion. Let me help you off your emotional roller coaster. SINCE THE AGE OF FOUR, I HAVE HAD THE ABILITY TO FORESEE THE UNKNOWN. WITH THIS ABILITY, I HAVE THE FORTUNE IN LIFE TO HELP OTHERS. I have 43 years of experience in the usage of this gift. I have worked with families, individuals, groups, and even pets. I've been guided by the heavenly stars and by doing so I've been able to recognize this gift as truly of a higher power. Meant to be shared with those seeking life's complex answers, I am thankful for this gift and I know in order to keep it, you have to give it away. With the use of my Tarot Cards, it provides me with sight into one's givings. My Angel Cards are a tool that I use for one's questions of past, present, and future. My accuracy is like no others. 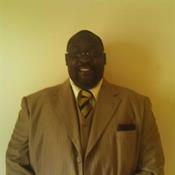 So for you who are in need of answers for questions, I will utilize my ability to help you obtain the answers you need. You can call me or e-mail me with your five (5) questions that are important to you for one set rate of $25.00. Just click either button. You need not question anymore, Psychic Master TWINE has the answers. Psychic Master TWINE has been a user of Keen since 2012. Getting Love & Relationships advice from Psychic Master TWINE through www.keen.com is safe, secure and confidential.